Several rafting expeditions were carried out in the northern regions of India by foreign influences in the 1970s and 80s. White water Rafting was then officially thrown open to public in the mid 1980s. With mere 150 clients, then per year, today there are more than 100000 tourists handled by various operators through India. 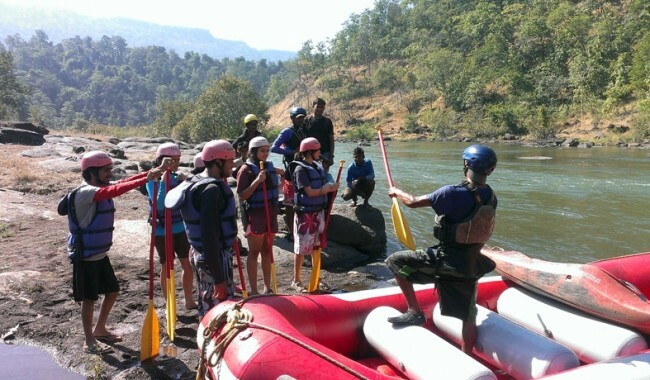 White water rafting has now become main stream adventure sport in India. People no longer shy away with its risk factor, as enough safety measures are taken. Even a novice can experience this amazing sport. White water rafting is an extreme sport in which an inflatable raft is used to navigate through a river. This is often done on different degrees of rough water, and generally represents a surprising and challenging environment for participants. Dealing with risk and the need for teamwork is often a part of the experience. There are different levels of difficulty at different places. Therefore, it is important to understand the class of rapid that the river provides where you might be rafting. The operators will anyways help you in evaluating that. In earlier days, north was the only hot spot for rafting. But now White water rafting can also be experienced in the West and South of India. Below are the different locations in India for White Water Rafting. Rishikesh, having the holy river of Ganges flowing through it is the white water capital of India. The flow of the water through the mountains is so rapid that it appears to be white, making it the best spot for white water rafting. Rishikesh is famous for the extreme adventures it has to offer and the great views that people enjoy during white water rafting. The amazing sights of the majestic mountains, beautiful ghats, sandy beaches and the various temples often leave the visitors amused. Rafting in Rishikesh usually runs all throughout the year except in Monsoons. 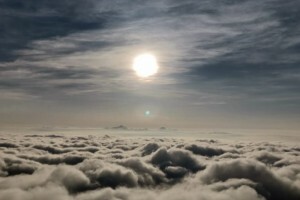 Monsoon normally starts from July up till September. The water level in monsoon rises up, makes it risky to raft. Summers can be hot and winters of course, can be chilling cold. So the best months for rafting are October and March. 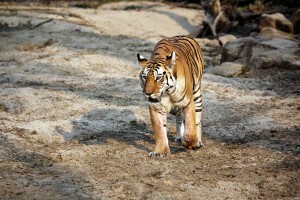 The weather in Rishikesh is most pleasant during these months as it is neither too cold nor too hot. The months of February, March, April, May, October and November witness the highest number of people arriving here for rafting from all over the world. Cost - Cost for rafting is cheap here. It ranges from Rs. 400 to 1300. Zanskar river is no stranger to the those who have been to Ladakh or knows about it. People visiting Leh in Ladakh gets a chance to see the grand confluence of the river Indus and Zanskar. It is called grand due to its massive size. The roaring river of the Indus is also called Singhe Khababs which means ‘out of Lion’s mouth.’ Most of us might have been there and seen it. 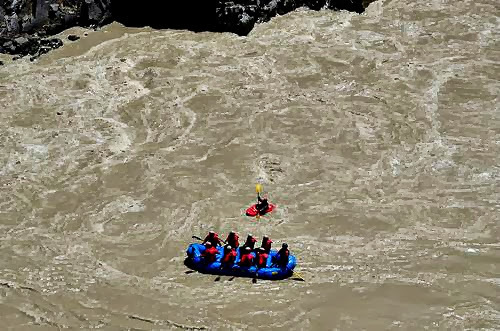 But what if we get a chance to raft down its river up till its grand confluence Yes, Zanskar and even Indus have become increasingly famous for its White water rafting. Rafting down these rivers surrounded by the cold and rugged landscape of Ladakh is a unique way to experience its hidden treasures. 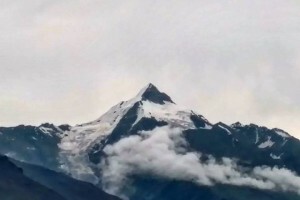 There are various routes like Phey – Nimo, Upshi – Kharu, Phey – Saspol, etc…..and chilling to Nimo on Zanskar River. 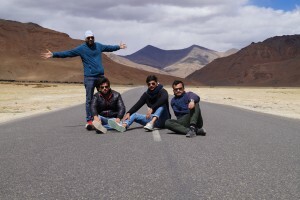 Along with the river rafting expedition one can even experience camping in Ladakh and also go for short hikes to the remote villages and ancient monasteries. How Dangerous And Gross Can Be A Foot Rot? The best season for rafting is from June to August when the water level remains high. River Teesta of Sikkim offers the most challenging rapids in the eastern Himalayan region. White Water Rafting in Teesta had been introduced by DGHC (Darjeeling Gorkha Hill Council, now GTA) in 1991. Since then it has been consistently gaining popularity. The river banks have dense forests, with some areas of small villages. The beaches here have plenty of white sand, and offer good campsites.The gushing river of Teesta creates foaming white rapids, which are literally tailor made for rafting. Most of the Teesta is either grade III or IV, so it’s advisable to have some experience of river running before you attempt it. As you raft down Teesta, the mesmerizing view of the dense forests along the slope of the mountains, the vegetation, the many different birds, combined with the excitement of rafting through the foaming waters create an untamed experience. River Teesta is fed by melting snow in the summer months and rainwater in the monsoon. Rafting is restricted during winter and Monsoon. Summer is the ideal time for rafting in the Teesta river. 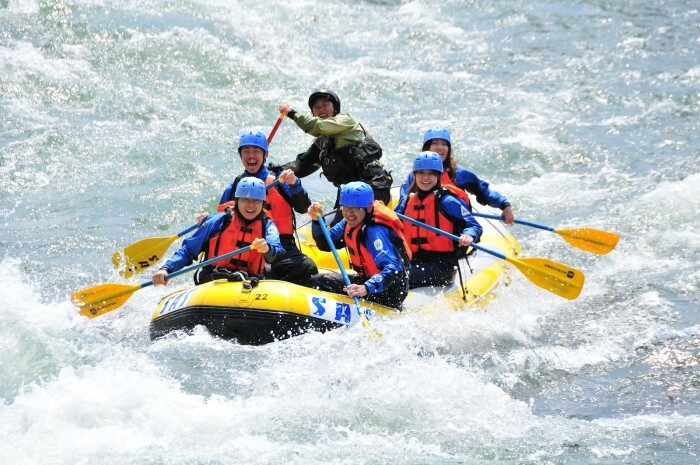 The best time for rafting is between October – November and Feb- June. Kolad to Maharashtra is what Rishikesh to Uttarakhand and Ladakh to Jammu & Kashmir. River, waterfalls, trails, rocky mountains and lot more things can be found here. 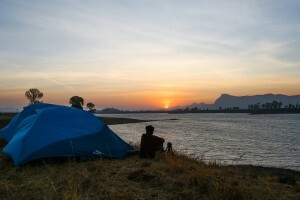 Kolad became famous after its discovery by trekkers and after realizing its potential for rafting. 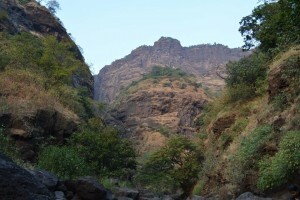 Kundalika river is one of the main attractions of Kolad. Rafting is done on this river. Kolad is only 112 kms away from Mumbai by road. It barely takes 2-3 hours to reach depending on traffic conditions. Normally Kolad is open throughout the year, but tourist prefer between July-November- March, as the weather is much cooler and the river is mostly full with water. 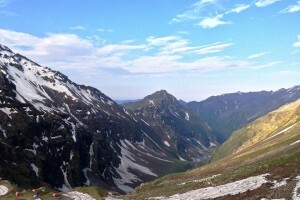 Kundalika visitors prefer to Raft in Monsoons as the region is greener and the route is very scenic. Monsoon season is between June and September. 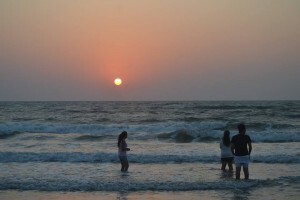 Winter season is good for those who hate the “heavy” rainfall associated with the region of Konkan. You will find lush greenery and waterfalls even in winter. Winter season last till March. If you are among the ‘been there, done that’ kind of person (with reference to Kolad), or if you want a little offbeat experience, then Vaitarna is your best bet. Just 130 km away from Mumbai, you can get to its base Savarkut village by road. White water rafting in Maharashtra has always been associated with Kolad, Vaitarna is another Rafting location which is a well kept secret. Vaitarna, the very source of our city’s drinking water, is also teeming with rapids and just as suitable for adventure activities. The villagers are quite humble and friendly here. You may even find kids rafting with their own makeshift Rubber tire. While Kundalika may have more exciting rapids, the narrow stretches here make it more challenging. There is even a 10 foot exciting cliff to jump off here. Just like Kolad, The season to visit is almost same. But, It highly depends on the release of Dam. 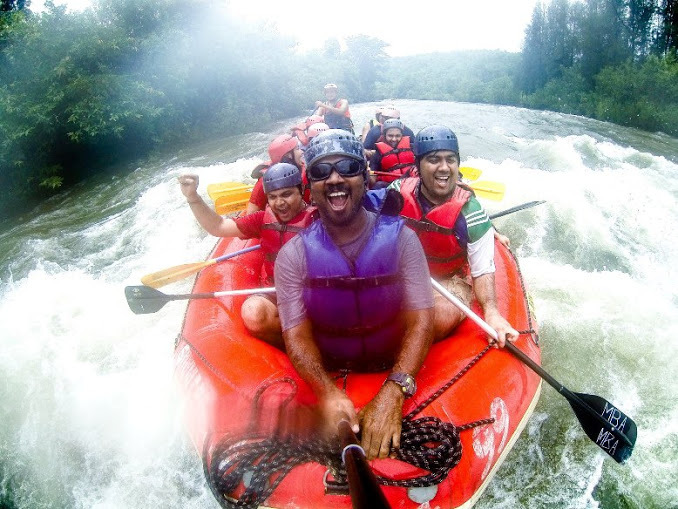 Coorg, the nature’s heaven of Karnataka is a paradise for rafting. River rafting in Coorg is popular, particularly for the reason that it offers the ideal rapids that have the perfect speed and swiftness. It gets rain from the South West monsoons and a number of streams gush along the landscape to join the mighty main rivers. The Barapole River, enters Coorg through the Western Ghats. The heavy rains that Western Ghats usually receive adds to the intensity of the flow. The stretch where river rafting in Coorg is conducted is the Upper Barapole or the Kithu Kakkatu River. The river flows through the thick woody stretch of the Brahmagiri Wildlife Sanctuary. 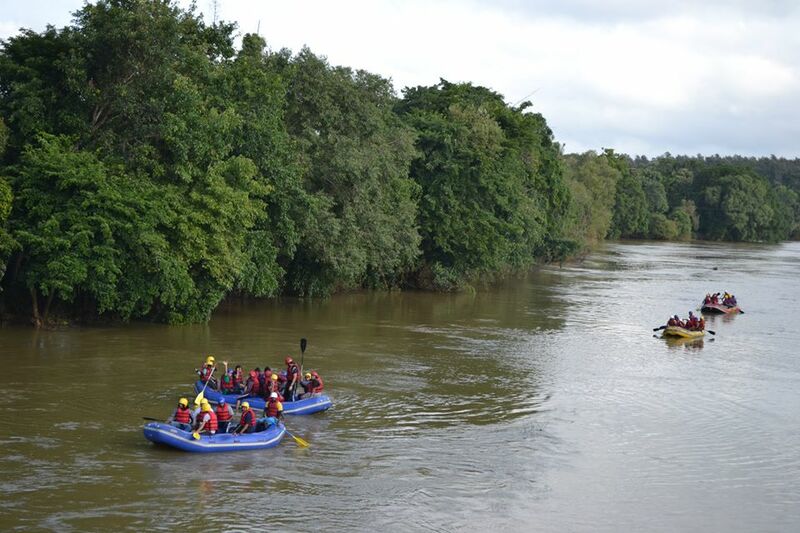 The rafting stretch begins at the sacred groves of Coorg and ends just before the Sanctuary limits. June to October is the time when you get the best water flow of white water rafting. 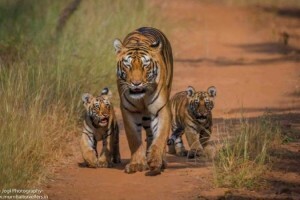 However, the availability of this activity is entirely dependent on the amount of rain received in monsoon season. Cost - Rafting in Coorg cost around 700 bucks. River Cauvery flowing in Bheemeshwari is perfect for river rafting adventure, especially for starters. You have to tackle the moderate rapids of grade 2+, which makes the 8 km run enjoyable without being too terrifying. The water is more or less manageable and there are lesser rapids in this part of the river as compared to those in the Barapole River. The starting point is Bheemeshwari, and you pass through verdant forests, beautiful valley, and scenic landscapes while you glide on the gushing river water. For the most part, the river Cauvery is a gently flowing river. At some places along its course, the river drops at a gradient. This stretch of water provides spills and thrills to the adventure seeker. Just 100 kms away from Banglore, rafting here best enjoyed from June-September when the monsoons turn the River Cauvery into a roaring torrent. You can even raft in Winter’s. 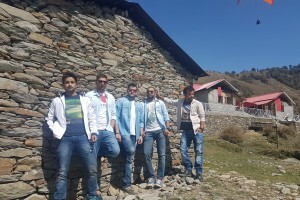 This entry was posted in Rafting and tagged bheemeshwari, brahmagiri, Brahmagiri Wildlife, Coorg, Kolad, Rishikesh, river rafting, River Teesta, Vaitarna, White Water Rafting, Zanskar River.